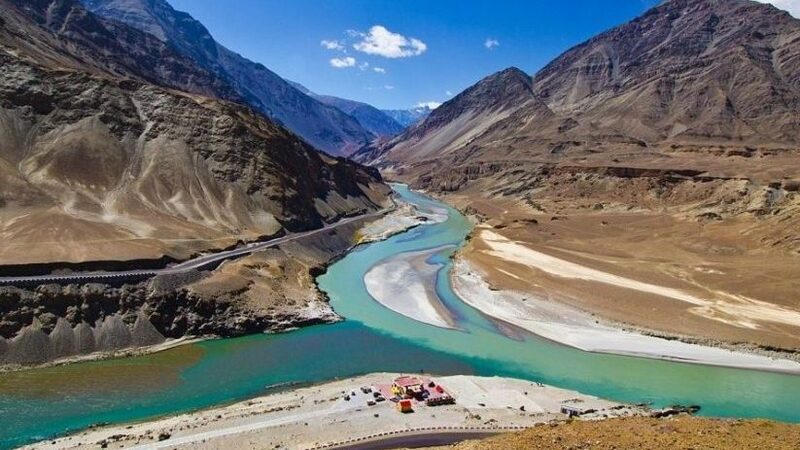 Despite India’s scrupulous observance of the treaty provisions and its concessions, Pakistan accuses it of not fully complying with the treaty’s terms. Imagine you live in a small village in rural India. Your annual income is around $1,800. You’ve never owned (or even used) a computer or the internet, or any of the electronics that are a part of daily life in Western nations. Suddenly, you have access to a smartphone. “To most Indians, the smartphone is their first camera, first TV, first video device, first Walkman, and first MP3 player. It may even be their first alarm clock and calculator,” according to Ravi Agrawal, managing editor of Foreign Policy and former CNN New Delhi bureau chief. That is the dramatic change this small device is bringing to hundreds of millions of Indians, as extremely low-cost smartphones and data plans increasingly become available. Technology in India has traditionally been only available to the rich, to English speakers, and to city dwellers, Agrawal noted. Indeed, the internet was “long a source of great divides in India,” he said, but the smartphone could start to close the gap. This was tom-tommed as a big shift from the government of India's long-standing policy that the peace process in Afghanistan should be Afghan-led, Afghan-owned, Afghan-controlled and with the participation of the government in Kabul. It made a splash because the Taliban was talking to the US ahead of the latter's plan to pull out from its 17-year-long military engagement in Afghanistan which has cost over a trillion dollars and claimed tens of thousands of lives besides turning it into a terrorist hub. However, General Rawat was only taking forward the ball set rolling exactly two months before. The policy shift was already public by November 8, when two former diplomats, Amar Sinha and TCA Raghavan went to Russia for the Moscow format of talks on the Afghan peace process. Technically, Sinha and Raghavan did not represent Government of India (GoI) – their participation was “non-official”, in Track II mode. Pakistan’s economy is facing a potentially crippling jolt, with the International Centre for Settlement of Investment Disputes (ICSID) expected to levy a US$4 billion fine on Pakistan, with actual liabilities having the potential to stretch as high as $11.5 billion. This comes after an Australian mineral exploration company filed a damages claim worth $11 billion against the cancellation of its contract for Reko Diq copper and gold mines in Balochistan. The ICSID website confirmed that the tribunal decided on the admissibility of new evidence from the respondent as the case is still pending. The World Bank arbitration tribunal earlier in 2017 ruled in favor of the Tethyan Copper Company Private Limited (TCC), a conglomerate of Cuban and Canadian mining exploration companies registered in Australia. They had acquired a lease for copper and gold mines in Reko Diq, Balochistan from Australian company Broken Hill Proprietary (BHP). Twelve months ago in the Pentagon’s first new National Defense Strategy since 2008, President Trump quietly replaced terrorism with interstate competition as his top national security concern, thus relegating the threat of terrorism to pre-9/11 levels. Recent years have witnessed a resurgence of state rivals like Russia, China, Iran, and North Korea. However, even in the midst of the justified media frenzy surrounding allegations of Russian U.S. election meddling and other foreign influence operations, Washington’s growing complacency regarding terrorist activity should be troubling. Global terrorism peaked in 2014 but may spike again as Trump begins to withdraw troops from Syria and Afghanistan. While most terrorist attacks occur in the Middle East, these attacks are perpetrated by ISIS and Al Qaeda, which target the U.S. homeland, as well as by other regional terrorist groups like the Taliban and Jaish-e-Mohammed, which undermine U.S. allies and partners in Europe and Asia. Accordingly, terrorism should continue to rank high in America’s order of national security priorities. All countries, regardless of whether they are tech superpowers or not, will feel the effects of the AI revolution. In a courtroom in Zharkent, Kazakhstan, in July 2018, a former kindergarten principal named Sayragul Sauytbay calmly described what Chinese officials continue to deny: a vast new gulag of “de-extremification training centers” has been created for Turkic Muslim inhabitants of Xinjiang, the Alaska-sized region in western China. Sauytbay, an ethnic Kazakh, had fled Xinjiang and was seeking asylum in Kazakhstan, where her husband and son are citizens. She told the court how she had been transferred the previous November from her school to a new job teaching Kazakh detainees in a supposed “training center.” “They call it a ‘political camp’…but in reality it’s a prison in the mountains,” she said. There were 2,500 inmates in the facility where she had worked for four months, and she knew of others. There may now be as many as 1,200 such camps in Xinjiang, imprisoning up to a million people, including Kazakhs, Kyrgyz, and especially Uighurs, who make up around 46 percent of Xinjiang’s population. Over the past year the global oil market has experienced significant activity, particularly in the wake of sanctions imposed by the United States on Iran and developments in the global economy. For the US administration, Saudi Arabia plays an important role in countering the expected shortage of Iranian oil in the market and in moderating global oil prices. However, the Kingdom requires higher prices to meet its needs, and is the de facto leader of OPEC, which strives to raise oil prices. The price of oil (WTI) in the beginning of 2019 is about $46 a barrel. This article examines how the Kingdom attempts to maneuver in the oil market, balancing its budgetary needs at home and the need to keep in line with its American ally. 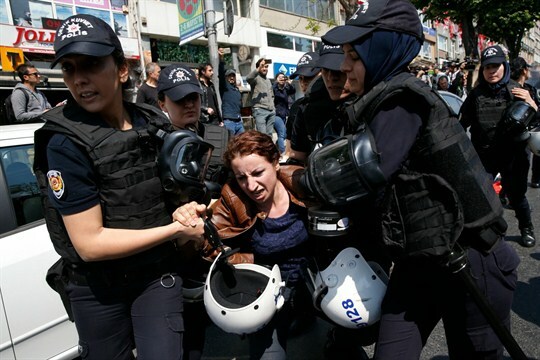 Has Erdogan’s Attempt to Reshape Turkish Society Hit a Wall? A new mosque in traditional Ottoman style is currently being built in Istanbul’s central Taksim Square. Due to be completed later this year, it is just one of thousands of new mosques going up across Turkey. But the construction in Taksim is particularly symbolic—an apparent sign of President Recep Tayyip Erdogan’s conquest of the political landscape and ability to reshape the Turkish nation in line with his wishes. He is currently campaigning for snap presidential and parliamentary elections on June 24 in which he could further cement his grip. One of the more peculiar aspects of contemporary British politics is that the Labour Party, whose membership is overwhelmingly against Brexit, is led by Jeremy Corbyn, a lifelong euroskeptic who has been steadfast in his commitment to Britain leaving the European Union. Even more peculiarly, this doesn’t seem to have dented his popularity at all. Labour members still idolize him, brandishing slogans to “love Corbyn, hate Brexit,” even though he has promised that Brexit would still go ahead under a Labour government. 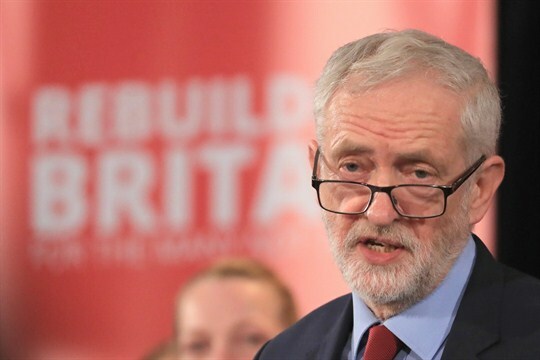 There are those who believe that Corbyn supports Brexit out of ideological reasons—namely an opposition to EU rules on state aid that might constrain his ability to pursue a stridently left-wing economic agenda and neuter two of his 2017 election manifesto proposals: to establish a state investment bank and state-funded regional energy suppliers. But it’s more likely that his commitment to leaving the EU is driven by electoral arithmetic. Roughly 61 percent of the constituencies won by Labour in the 2017 general election—when the Conservative Party lost its majority in Parliament and Labour gained 30 seats with 40 percent of the vote, its highest share since 2001—are estimated to have voted for Leave in the Brexit referendum a year earlier. By contrast, 65 percent of voters who backed Labour in the previous general election in 2015, when the party was trounced by the Conservatives and lost 26 seats, voted for Remain. On December 14, in a phone call with Turkish President Recep Tayyip Erdogan, U.S. President Donald Trump abruptly announced that he would order U.S. forces to withdraw from Syria, taking his Turkish counterpart—and much of his own national security staff—by surprise. The sudden decision to pull out the remaining 2,000 U.S. forces stationed in northeast Syria was trademark Trump. For years, the president has promised to reduce the U.S. footprint in the region and argued that American allies and partners should do more to shoulder the burden of regional security. But the United States does not operate in a vacuum. Trump’s precipitous announcement came without any prior attempt to extract concessions or guarantees from the other actors involved in the conflict. Now several of those players are poised to shape the situation on the ground in their favor—and to the detriment of the United States. Two weeks ago, I discussed the challenges facing the Trump administration in 2019 and last week focused on the challenges facing the Congress. Completing the series, this week will look at the World Trade Organization (WTO). For the readers of this column who are trade wonks, there is no need to explain what the WTO is or what it does. For the rest of you, let's just say it plays an outsized role in the global trading system, and, as my colleague Scott Miller says, "You'll miss it when it's gone." It is important because it is the venue for multilateral trade negotiations that can promote global growth and job creation. Since progress on that front is largely stalled right now, its other function—dispute resolution—has drawn more attention. It is the only multilateral institution that has a fully developed dispute resolution system, one that not only adjudicates disputes but can make its decisions stick. It uses a two-part process—panels of experts that initially rule on disputes and an Appellate Body that considers appeals of panel decisions. Because panel decisions (if not appealed) and Appellate Body decisions can only be blocked by consensus, the system has considerable clout. Whether fact or fiction, the movie raises troubling questions about the security policy of the US government and those who lead it. In particular, could history be repeating itself? This question should be addressed to and by those around and under the influence of John Bolton, the National Security Advisor confirmed only eight months ago. Davos - Google CFO Rachel Porat told the World Economic Forum that data is more like sunlight than oil, after France hit the company with a fine for data collection privacy issues. The metaphor doesn’t stack up in so many ways. With the heavy scrutiny now being placed by regulators on internet privacy, particularly in the European Union, and a $57 million fine, Google’s desire to emphasize positives is understandable. The trouble is that this upbeat approach comes in context with some serious global privacy problems. Google, as the big gorilla in the playpen, is front and centre of all the issues. The market news is sending too many mixed messages, and mixing metaphors aren’t helping. The “sunlight not oil” comment is based on Google’s desire to distance itself from the many negatives of the oil analogy. (Data is being touted as the new oil industry, a gigantic cash cow that everyone uses. Nothing like very unoriginal metaphors to deliver a response.) Sunlight, says Google, regenerates while being used. 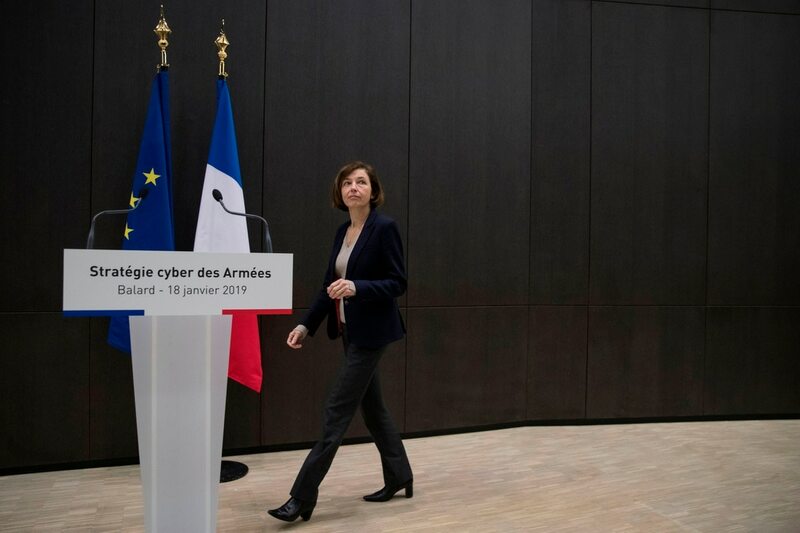 PARIS — The French military plans to develop and deploy offensive cyber weapons and improve the protection of its networks from “security events," Defense Minister Florence Parly announced here this morning. “Today, France is choosing to procure cyber weapons for its military operations. We consider the cyber weapon as a full-fledged operational weapon," she said. The roll-out plan for the bureau is still forthcoming, according to a State Department spokesperson. The spokesperson confirmed the new bureau will be run by an ambassador-at-large for cyberspace security and emerging technologies. This is the first time that the CNIL applies the new sanction limits provided by the GDPR. The amount decided and the publicity of the fine are justified by the severity of the infringements observed regarding the essential principles of the GDPR: transparency, information and consent. The new year is upon us as is GDPR enforcement and fines. Companies that have sat back and watched the privacy tidal wave hoping that it will miss them, should reconsider. As with any new regulation, most companies scramble to comply once they realise the ramifications are real!! We are learning that no one is beyond GDPR reach – Google was fined 50 million euros on January 21, 2019 due to people “not sufficiently informed” about how Google collected data to personalise advertising. This is the first large fine by a GDPR regulator. Given the fact that it was the French privacy watchdog that issued the fine is no surprise. CNIL is the only regulator that issued any kind of GDPR compliance guidance in an effort to shed light on compliance requirements. Even though Google’s European headquarters is based in Ireland, that did not stop GDPR watchdogs from transitioning the enforcement to France where it is considered to be more effective. The Fourth Industrial Revolution will take center stage at the World Economic Forum's (WEF) annual meeting next week in Davos, Switzerland. It's a term used by CEOs, policymakers and industry to describe technologies like artificial intelligence, quantum computing, 3D printing and the internet of things. Some companies and governments are struggling to keep up with the Fourth Industrial Revolution. The concept, a theme of Davos this year, refers to how a combination of technologies are changing the way we live, work and interact. Gone are the days where battles are fought in person-to-person conflicts. 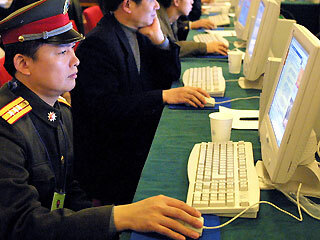 In the coming years, most wars will be waged via computers, servers, and digital weapons. The question is, is the United States prepared for the future? Military battles have evolved a tremendous amount over the years – most of it due to advances in weaponry and technology. In early centuries, wars were fought with hands, fists, sticks, and stones. You had to be close to your enemy to kill. As weapons become more advanced, things like slingshots, bow and arrows, and catapults gave armies the opportunity to attack from a small distance. The first guns allowed for mass killing at a distance – though single-shot rifles were inefficient and time-consuming to use. As automatic guns and long-distance rifles entered the picture, it became possible for battles to be waged at distances. As airplanes, helicopters, and long-range missiles emerged, battles became even more sophisticated. Today, we stand on the precipice of new warfare. No longer is it necessary for people or weapons to be present. Battles of the future won’t be fought on the ground or sea – or even in the air. They’ll be waged behind computers and servers. During maneuvers, the 5-20 Infantry battalion staff begins planning an attack on Objective MURRAY, a complex piece of terrain surrounded by forests on three sides with an expected enemy company in the area. The approach to the objective is equally complex, with rolling hills, patches of forest, and a fordable stream. The enemy company could be anywhere along the approach or on the objective–or behind the objective ready to counterattack. The intelligence officer, CPT Tran, looks over the terrain on a map and opens the Enemy Course of Action Analysis Tool (ECAAT), artificially intelligent software that uses a wide variety of variables to develop potential enemy actions and suggest their likelihood. CPT Tran zooms into the area of operations on the program’s map, using his mouse to define the battalion area of operations, inputs the expected enemy force, and selects “defend” as the enemy mission. The AI instantly arrays the enemy in bright red silhouettes in its most likely course of action, with dimmer red silhouettes representing less likely arrays of forces. Tran reviews the analysis carefully, exploring the three most likely AI-generated enemy courses of action. It almost goes unquestioned now that great power politics is back, and consequently the role of national navies will continue to grow. States with global aspirations know perfectly well that without a superb navy it is nearly impossible to sustain a great power status. In the case of the United States, the Navy is the sine qua non of US power, without which Washington’s influence would be limited to only the Western Hemisphere. The Navy is the backbone of American diplomacy, enabler of America’s influence in remote corners of the globe, and the guarantor of global stability and prosperity. However, the United States’ maritime supremacy is increasingly being challenged and new estimates raise the possibility of China’s PLA Navy achieving parity in the near future. These developments are not going unnoticed, and Washington is waking up to China’s challenge, which promises to turn various international waters into contested zones. Indeed, the 21st century will be one of naval competition between an established seafaring power and a land power increasingly turning its focus toward the seas. The authors examine historical antecedents of political warfare and current-day practices through in-depth case studies of Russia, Iran, and the Islamic State. They use these cases to derive common attributes of modern political warfare. The authors then identify effective means for responding to these challenges. Drawing on documentary and field research as well as extensive semistructured interviews with practitioners in the U.S. government and elsewhere, they determine gaps in practices and capabilities for addressing political warfare threats. The report concludes with recommendations for countering political warfare by creating a more effective, coordinated, and cost-sensitive approach to effective statecraft, including specific measures for the U.S. State Department and the U.S. military, particularly the special operations community. 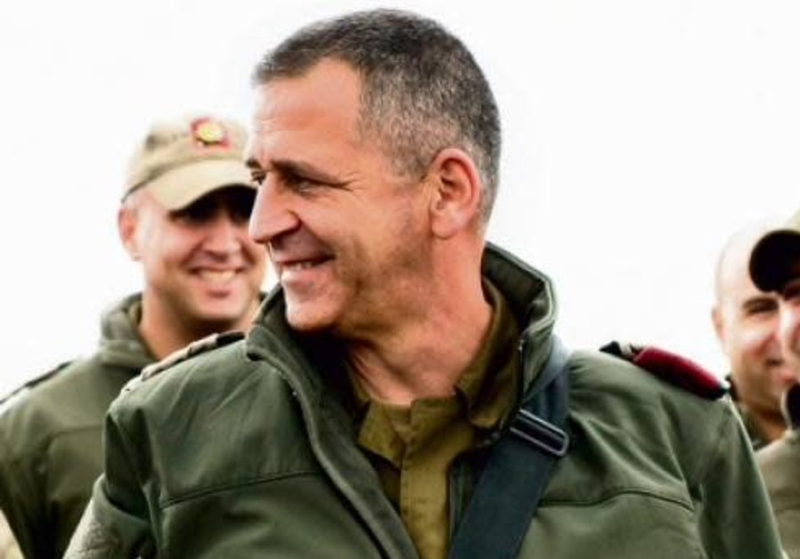 The most important role of any IDF chief of staff, including Lt.-Gen. Aviv Kochavi, is to prepare the army for the next war. Therefore, the IDF and the political echelon must consider very carefully what type of war that is going to be. Since 1982, the IDF has not had any conventional large-scale wars against adversaries armed with tanks and aircraft, but only "small" wars. 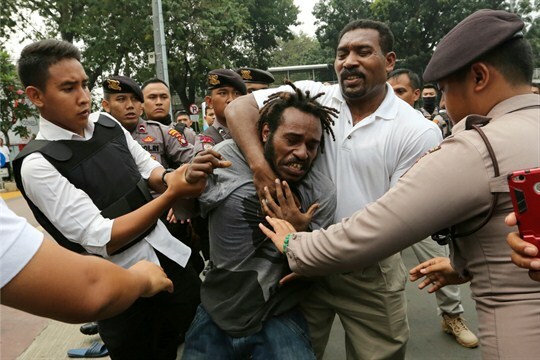 Most chances are that this tendency will continue, due to the absence of adversaries with large conventional armies. Nevertheless, the IDF's success curve in small wars should be improved. The Second Lebanon War in 2006 is not something to be proud of, and some of the fighting rounds in Gaza did not yield a clear Israeli victory either.